It’s that time of year again, and just about everyone in the country between the ages of 5 and 23 is headed back to school. I’m starting my last year of college, and as a fifth year senior I think I finally have a few things to impart to all the new students starting college themselves in the next couple weeks. These are my top five tips for Enjoying Yourself and Doing Well in College. #1 Major in something you like. You will very likely be in an industry related to your major for the rest of your life, so please major in something you will at least enjoy learning about forever. #2 Sit near the front of the class. Anywhere in the first three rows will do. This shows the professor you’re interested, but doesn’t make you look like a total brown-noser. #3 You have a syllabus, therefor you know when everything will be happening throughout the semester. You can look up what you’re covering in any given week. READ AHEAD. #4 While you’re reading ahead, write down any questions you have so you can ask your professor in class or office hours. Not only will this make the professor think you’re interested in the topic, but even if you’re NOT interested in the topic and you still have to take the class, asking questions will increase your understanding of the material infinitely and therefor increase your grades. #5 Get involved in a couple campus activities or participate in co-ops and internships. Joining clubs or organizations that have to do with your major or hobbies can become HUGE networking tools when you need to look for a job, and provide communities of friends you can hang out and study with. (Hint: This is how you make friends in college) Internships and co-ops are great ways to get your feet wet in any field you’re interested in. If you’re not getting paid, you can usually get a few credits out of it to make it worth your time. Internships and co-ops also introduce you to professionals in your field who can point you in the direction of good jobs for the future. 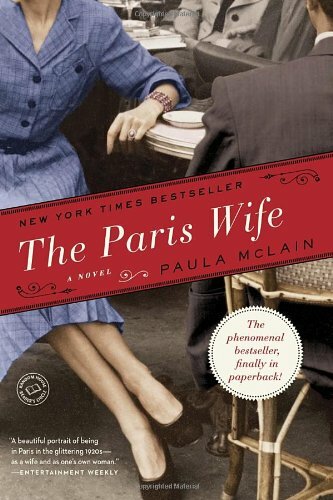 The Paris Wife by Paula McLain follows the life of Ernest Hemingway’s first wife through their lives together. From their first meeting to their last phone call, everything is presented from Hadley’s point of view except for a few sparse chapters written from Ernest’s. I picked up this book about a month ago while I was up in Martha’s Vineyard. While I was immediately drawn in by the cover, I was immensely intrigued by the idea of a book that dealt with Hemingway from another’s point of view. Ever since I read The Old Man and the Sea as a fourteen-year-old high school freshman I have wondered how Hemingway’s peers saw him. This book gave me a peek into his world, and I wouldn’t have wanted it from anyone’s perspective but Hadley’s. The Paris Wife is an emotional roller coaster. Hadley and Ernest both doubt themselves so much throughout their lives. They are so aware of how they initially cling to each other for support because of their problematic families. It shows Ernest Hemingway at his rawest, most selfish, deep loving and even more deeply scarred self. Because Hadley was his wife, you hear all about his nightmares left over from the war. You learn how he struggled to write, even after they moved from Chicago to Paris. My favorite part of the book however, is Hadley herself. When you first meet her, Hadley is in her late twenties and so shy and hollow that she herself doesn’t think she will ever have a life beyond her small apartment above her sister’s home. Meeting Ernest gives her hope, but her only strength lies in him for the first two years of their marriage. Whenever he isn’t around she seems even weaker than before she met him. It is not until their child is born that she becomes more grounded. As her marriage deteriorates, her self-awareness and self-worth grows. Hadley, at roughly thirty-three, finally blossoms into her own person and finds an inner strength that many women would be jealous of. The Hemingway’s love is so strong that it withstands even its own end. Hadley learns to live for herself and her child, and stands firm as a role model for strong women in history: someone her suffrage-minded mother would have been proud of. While the reader is always aware that the Hemingway’s marriage won’t last as they read the book, it is never the less surprising when they get to the end of it. I wanted to hate Ernest or to hate some of the other characters, but after putting myself in their positions, I know that could never happen. I became so deeply involved in their lives and life in Paris at that moment in history, that I could so easily see how they all fell into the habits they did and therefore couldn’t blame them for acting in the ways that they did. So if you are looking for a book that will test you and teach you about life and love and happiness and trust, The Paris Wife is the book for you. Just remember to keep your tissues close by.